A vintage innings from Bob Zanetti saw Monkseaton CC 2nd XI record their first win of the season after a five-wicket triumph at Blyth CC 2nd XI on Saturday. 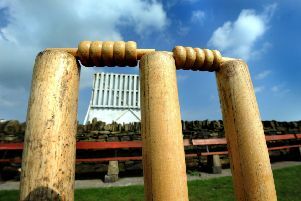 After beginning the campaign with two disappointing defeats, largely the result of below-par batting displays, this was a much better performance by skipper Garry Benns’ side and the 29 points earned from the game lifts them to fourth in the Northumberland and Tyneside Cricket League Division Six (South) table. It was a fantastic 65 not out by Zanetti that proved decisive in a keenly-fought contest played in red-hot conditions at Plessey Road. After winning the toss and electing to field, skipper Benns saw the hosts get off to a promising start in the opening ten overs, but disciplined bowling by John Hewett (3-24), Chris Beever (2-18) and Ian McDine (1-18) ensured Blyth were kept under pressure as wickets fell regularly. Jordan Murphy (2-27) also chipped in with late wickets, taking his tally for the season to nine as Blyth managed to reach 129-9 at the end of their 40 overs. That left Monkseaton chasing 130 to win, although the victory target could have been a lot less had the visitors held on to some of the many catching opportunities that came their way during the Blyth innings. Thankfully, it didn’t prove too costly. Opening batsmen Beever (22) and Benns (15) got Monkseaton off to a solid start in response and both would have been disappointed not to go on to bigger scores. But Blyth had no answer to club president Zanetti, who dominated the home attack, hitting eight fours and two sixes in his masterful innings to win the game. After chalking up their first win, the 2nd XI must now kick their heels this weekend as they have no fixture. Monkseaton 1st XI l will be looking to make it three wins out of three when they travel to to face Warkworth 2nd XI on Saturday (1pm start).